One of the things that can make a house seem more like a home is live house plants. 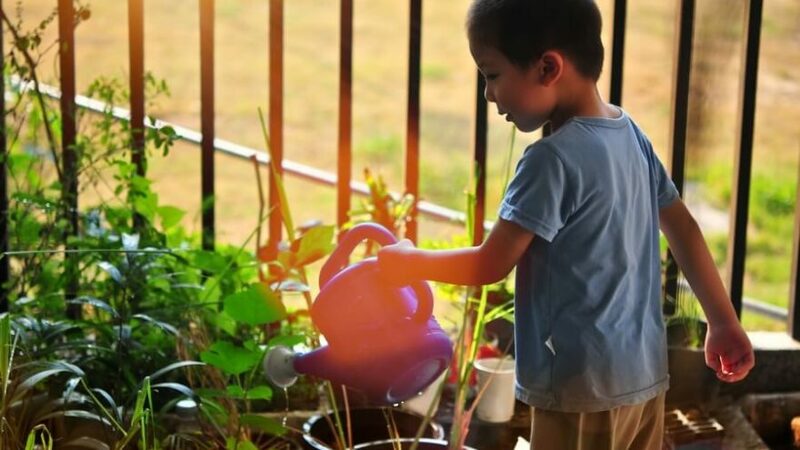 Plants are a great early responsibility builder, even toddlers can help water plants and having nature in the house is an excellent way to help foster curiosity. 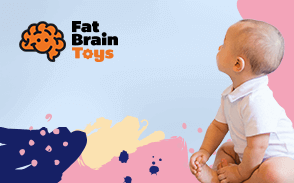 However, when you have little ones around it can feel daunting. Every child goes through a phase where it seems they want to put everything in their mouths and houseplants are no exception, but with a little care, houseplants can definitely be part of your home. In fact, there are a ton of options that are non-toxic and beautiful. This are leafy plants related to pineapples with long pointed leaves that have a lot of colors. Most Bromeliad will have green leaves with purple or red accents. They grow well indoors with moderate sun, putting them by a window is fine but windows on the South or West side of your house may be too bright. You only need to water a Bromeliad about once a month and they must have proper drainage to protect their roots from rot. If you like flowers, you can’t go wrong with Begonias. They are fairly easy to grow indoors, most varieties being happy in partial to full shade. They do like to be somewhat moist, but not wet so pick a flower pot with drainage and don’t overwater them. Begonias are safe for kids, cats, and dogs alike. They come in a wide variety of colors like white, oranges, pinks and reds. You’re sure to find some to match any decor. They can be grown from seeds indoors and then planted outside later, giving your children a chance to see the life cycle of a plant and giving your yard a little bonus. This are another floral option, coming in a wide variety of colors these daisies like sun, so a South or West window is a great home for them. They must be kept moist, so if watering frequently isn’t in your schedule they are not the best choice. They can be grown from seeds, which is fun for little ones, and the flowers last from 4-6 weeks. This are non-toxic to kids and pets unlike the Peace Lily, but the flowers of the Chinese Evergreen are similar. They enjoy the moderate sun, moderate water, and a shower every once in a while to clean the dust from the leaves. It may take a few years for flowers to bloom but the plant is beautiful the whole time without them. If you have a busy lifestyle or have neglected houseplants before you’ll want to get a Ponytail Palm (Beaucarnea recurvata). These plants are a type of succulent so if you forget to water it, that’s okay. They actually like lots of sun and not so much water anyway. Put it near a window, make sure your pot has proper drainage, and watch it grow long beautiful kid-safe and pet safe leaves. The plant itself grows from a central stem called a caudex which serves as a stem or trunk for the plant, and the leaves grow long and thin from that creating a kind of fountain shape, which is where the palm name comes in. Even though the Ponytail Palm isn’t a true palm, it is still reminiscent. Ponytail Palms can live for years and years in their original pot without needing to be moved to a larger one. You can pick up a plant already grown at your local nursery. Haworthia (Haworthia cymbiformis) is another succulent, and probably what you think of when you hear the word. They love the sun, so potting one and putting it on a windowsill is a great idea. Haworthia are small so they can often be planted in non-traditional containers like teacups, but make sure you provide adequate drainage so they don’t get too wet. Another set it and forget it plant is called a Snake Plant (Sansevieria), while you can buy these at your local nursery it’s easier and cheaper to just find someone who already has one and ask if you can have a cutting. Have you friend cut a leaf from her plant, pick a healthy looking one. To grow a Snake Plant from a cutting, you’ll need to start it out in water. Find a container that is large enough to hold the leaf upright, and add enough water to cover the bottom quarter of the leaf. You’ll want to change the water every few days, but soon you’ll see roots starting to grow. Once the leaf has roots you can pick a planter and plant the rooted leaf in peat moss, and then you’re done! Snake Plants thrive in shade and don’t like to be overwatered so let the soil dry out to the depth of a knuckle before watering. Take good care of your Snake Plant and one day you’ll be able to give a cutting to a friend and they can start the cycle over again. If you want a tall plant, try out a Dracaena. They like partial shade, so park it near a window but not too close and feel free to forget about it a little. Dracaena are hearty plants that can handle a little bit of neglect, they only need a bit of misting on the leaves and always let the soil dry out before watering again. If the leaves are turning yellow you’re watering too often. Dracaena are safe for kids, but not for dogs or cats so if you have pets around this isn’t the best choice. However, a Bella Palm (Chamaedorea elegans) is safe for kids and pets and can grow to be up to 3-4 feet tall if placed near a sunny window. Bella Palms, like the Dracaena don’t need much water and are very forgiving if you forget to water them. You may have to move them to a larger pot in the first year or so though as they grow fast. They can live quite happily away from sunlight, but won’t get as tall as quickly. Bella Palms love having friends and don’t really mind crowding so planting 2 or 3 together in a pot can give your plant a more full look. Make sure that plants are kept out of reach of children as much as possible. If a plant is on a shelf or windowsill make sure your child cannot accidentally topple it over. If a plant is hanging, keep the vines out of reach of the child so they don’t pull it down. Always pick up dead leaves and debris as they can be a choking hazard. While the plants on this list are non-toxic to kids you still want to supervise them. Some plants require fertilizer or other supplements during the year, keep these things safely out of reach of children.